One of the persistent problems of Tesla and other electric car owners is finding means to kill time while charging their autos. Tesla now presents a possible solution to this as the company unveils a new layout plan for its Supercharger stations. 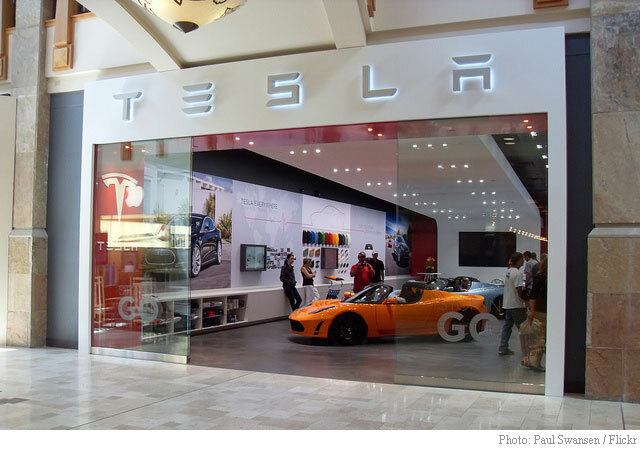 Tesla (NASDAQ:TSLA), an American electric automaker and energy storage company, is eyeing on attaching convenience stores beside its charging stations. At the annual foodservice technology conference (FSTEC), Tesla’s chief technical officer Jeffrey Brian Straubel divulged and presented the company’s plan in building convenience stores at its Supercharger stations. Currently, Tesla owns and operates 951 charging stations worldwide. The process of charging an electric car isn’t fast and easy. Sometimes, the whole process can take 30 minutes or longer. While charging their cars, the customers would want to do something else to kill time. “They want to eat, they want to have a cup of coffee, and they want to use the bathroom.” The length of charging time makes overnight charging in the garage more optimal. However, the services are mostly acquired by motorists driving a long distance and those without immediate access to home or workplace charging. According to the report of Restaurant Business, Straubel presented slides of the proposed charging station layout. It was described as a station “that looked exactly like a c-store,” – c-store stands for convenience store. The CTO revealed that Tesla has already been working with restaurants thus looking forward to adding food services together with their charging services. Majority of the revenue of most gas stations today comes from food sales, not gas. As a matter of fact, Tesla even extends free supercharging for several customers. The company could possibly be considering to acquire the services of 7-eleven and other convenience stores as Tesla has no plans in managing food services on its own. The company aims to focus on the development of its electric cars. Amenities like bathrooms, restaurants, and more would be built by partners to enable the customers to have a comfortable charging experience. Tesla Supercharger stations are accessible only by Tesla owners. It requires 20 to 30 minutes of charging to add an estimated 170 miles worth of battery power. As the trend of electric vehicles emerges, gas stations are forced into downgrading to simple convenience stores. Musk is in talks with some gas station companies and offered them to attach Supercharger stations to their stations instead. Tesla’s plan aims to make its customers’ charging experience more enjoyable and less tedious. Continuous development of its product and services is in action as battery-powered vehicles attempt to replace gas-powered vehicles.